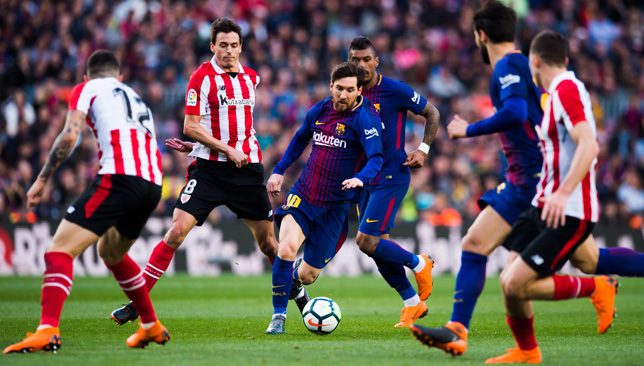 Lionel Messi scored for the sixth consecutive game as Barcelona tightened their grip in the title race with a 2-0 LaLiga win over Athletic Bilbao. Messi took his tally for the season to 38 with a fine finish from the edge of the penalty area. 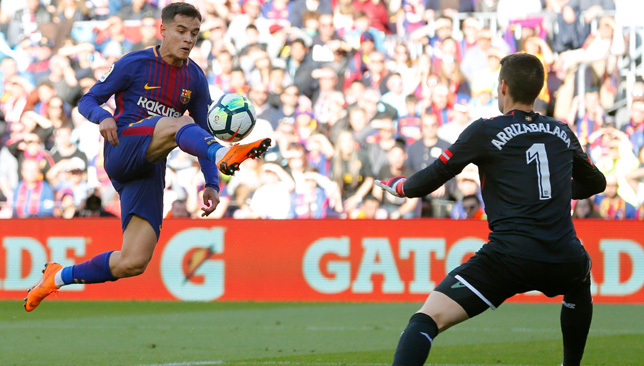 Paco Alcacer had already given the hosts the lead at the Nou Camp, and the leaders went on to canter to a routine victory against a Bilbao side grateful they were not more soundly beaten. Here, we rate the performances of Barcelona and Bilbao players. Ter Stegen 6. Had very little to do except start possession with his pinpoint passing, and he carried out that task well. Roberto 7. Strangely left out of the Spain squad and took out his frustration with another industrious display, providing several excellent moments down the right wing and linking up well with Dembele and Messi. Pique 8. Commanding at the back. Won everything in the air and made several well-timed interventions to regain possession, also regularly striding forward with the ball. Umtiti 7. Less disciplined than usual, sometimes going for balls he couldn’t win, but still provide an impassable barrier for the visiting forwards. Alba 8. Produced an astute cross for opening goal and was always present as an attacking option down the left wing, also defending extremely well. Dembele 7. Bright in the first half, combining well with Messi including a well delivered assist for the second goal. Also had a close range shot saved. Quiet after the break and was replaced. Paulinho 6. Made some driving runs but occasionally lacked subtlety around the box and too often slowed the team down. Struck the post with one shot and had another saved. Rakitic 8. Impeccable in midfield, ensuring the injured Sergio Busquets wasn’t missed – high praise indeed. Used the ball well and also regularly won it back with good anticipation. Coutinho 7. Hit the bar twice, firstly with a thumping half-volley and then with a deft chip. A busy but occasionally imprecise display. 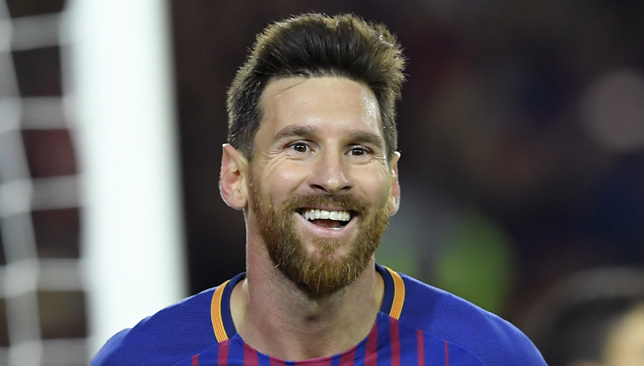 Messi 8. Had three shots saved inside the opening 12 minutes before rifling home after half an hour. Made some dazzling dribbles in a brilliant first half, but faded rapidly in the second. Alcacer 6. Produced a good side-footed finish for the opener and proceeded to work without much effect. Replaced with 15 minutes left. Iniesta 6. Came on to a great roar midway through the second half and showed some silky touches. Vidal 6. Introduced onto the right wing for the latter stages. Ran hard without making much impact. Gomes 6. Appeared for the last few minutes, had few touches. Kepa 6. Made three early decent saves decent early saves from Messi and could do nothing with either goal. Little to do after the break as Barca slowed down. De Marcos 5. Worked hard against Coutinho and Alba, whose attacking threat prevented him from getting forward. Nunez 6. Got into an early argument with Umtiti at a corner and showed more of that kind of resistance than most of his teammates. A wholehearted effort. Martinez 5. Looked occasionally ponderous in defence, vulnerable to the runs of Messi and Dembele. Sometimes inaccurate distribution. Saborit 5. 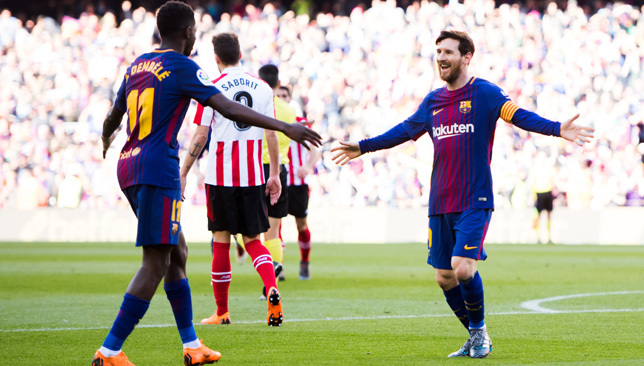 Run ragged by Dembele and Roberto in the first half, but had plenty of the ball in the second half as Athletic rallied at used it well. Benat 4. Unable to exert his usual influence as the playmaker, defensively poor and was taken off at half-time. San Jose 5. Often overrun in the first half as Barca repeatedly stormed forward from midfield, but more stable in the second period. Susaeta 6. The visiting captain tried to lead by example and was his team’s brightest attacking spark in the first half, drifting inside from the right wing and looking to create. Replaced by Williams. Garcia 4. Usual combustible presence was anonymous on this occasion, not really contributing in defence or attack. Lekue 5. Poor in the first half, wasting some decent crossing positions and getting booked for a lunge on Messi. Improved after the break and carried the game to Barca. Merino 5. Lightweight presence in attack, unlike the usual starter Aritz Aduriz. Sent a couple of second-half efforts off target before being replaced. Iturrapse 6. Came on for Benat and helped Athletic improve after the break, knitting the team together with good passing. Williams 5. Came into the attack midway through the second half but disappointed down the right. Aduriz 6. The last introduction for the visitors with 20 minutes remaining. Had a late low shot easily saved. Real Madrid return to La Liga action this weekend after beating PSG on Wednesday to qualify for the Champions League quarter-finals. 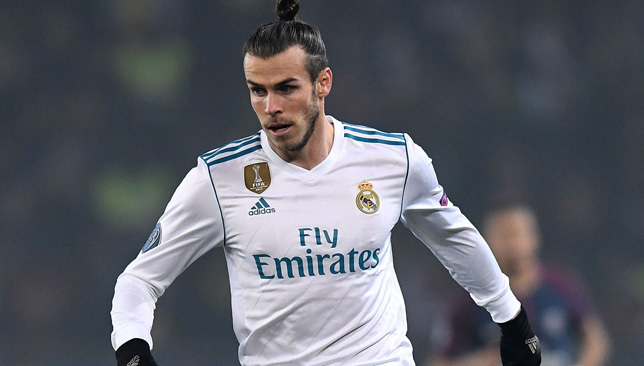 Gareth Bale is set to return to the starting XI against Eibar after featuring from the substitutes bench against the French giants, with Lucas Vazquez likely to make way. Meanwhile, Isco could feature in place of Marco Asensio, while both Toni Kroos and Luka Modric are back to full fitness. Elsewhere, Nacho is likely to replace Raphael Varane at centre-back – while Karim Bemzema is set to partner Cristiano Ronaldo up front despite recent poor form.